Gold is a measurig rod: An ounce of gold buys the same amount of a particular commodity today as it did at almost any time in the past. Various factors can cause commodity prices to get out of line with gold. Supplies of products are sometimes scarce. At other times, supplies are abundant. ** Government interference, weather, wars, and catastrophes affect market pricing. However, prices for the commodities (of all kinds) re-adjust quickly, and fall back into line with their constant relationships with gold. According to Jastram, the purchasing-power of gold remains nearly a mathematical constant during periods of inflation or deflation. Archæology seems to confirm Professor Jastram’s recent historical records. *** For example, archæologists have unearthed clay tablets in Babylon which point to the constant relationship between gold and wheat. For the same weight of gold, Babylonian King Nebuchadnezzar could buy about the same quantity of wheat as can be purchased today. The rare coin on the left was found buried near the wall of an ancient storage room for grain. Based on the evidence, the acceptance of gold’s monetary value is timeless. If gold in any form were buried at the bottom of the sea, one could dig it up 1,000s of years later and use it for money. GOLD & SILVER COINS DISAPPEARED. In every era, and in every commercial society, people have recognized the intrinsic monetary value of gold and silver. According to the U.S. Constitution (Article I, Section 10, 1789): “No State shall… make any thing but gold and silver coin a tender in payment of debts….” Yet today, only coins made of base metals (copper, nickel, tin) circulate here and throughout the world. An ancient Monetary Law now associated with Nicolaus Copernicus and a British financier named Sir Thomas Gresham reveals why this is so. “Gresham’s Law” explains why gold and silver coins have disappeared from circulation. Bad money drives out good money. Silver and gold are MONETARY METALS. They are good money because of their scarcity (gold and silver cannot be printed). In 1792, Congress under President George Washington fixed the dollar to silver and gold. By law, ‘money-printing’ was constrained by the nation’s physical supply of the two metals. The dollar was fixed to gold at $20 to 1 Troy oz of gold ($1 was equivalent to 1/20th of 1 oz of gold). Anyone could go to a bank and convert paper dollars into U.S. gold and silver coins (a $20 bill was convertible to a 1-oz $20 Gold Piece). In those days, Great Britain and America shared a true gold standard: Paper pounds, paper dollars, and coins of silver and gold were interchangeable currencies. The pound and the dollar had a standard exchange relationship: $4.86 equaled £1; each gold £1 right was worth $4.86 (for 142 years). 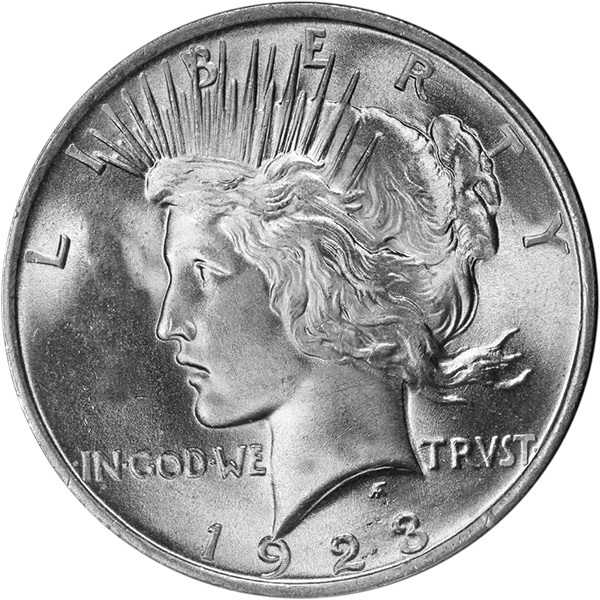 In 1933, President Roosevelt declared a “national emergency” (March 6); nationalized gold (March 9); and devalued the dollar by 69% (January 30, 1934). On August 15, 1971, President Nixon completely severed the dollar’s tie to gold. From 1792 until that day, the dollar had been 100% convertible to gold in foreign exchange (U.S. trade dollars had been redeemable in U.S. gold). Overnight, the world’s reserve currency was backed by nothing tangible. Before Nixon’s momentous monetary decision in 1971, Dr. Harry Browne wrote How You Can Profit from the Coming Devaluation (published in 1970). Browne warned investors that a significant debasement of the dollar was imminent. He believed the government’s solution to the burgeoning debt would be unlimited money-printing. He predicted the dollar would plummet against gold when the discipline of gold was entirely removed from the dollar (and it did). As the value of the dollar diminishes, the gold price rises. Today, it takes more than 300 dollars to buy the gold Sovereign my mother bought in 1971 for 10.65 dollars (it now takes 30+ times as many dollars to buy the same amount of gold). Since 1971, the dollar has lost more than 3,000% of its purchasing-power (it takes more than 30 times as many dollars to buy goods and services). Before the dollar was debauched, one could exchange paper dollars for gold dollars at the monetary “face value” of the coins. The face value of the coins below is $35: $5 (Indian) + $20 (St. Gaudens) + $10 (Indian) = $35. Today, the gold coins cost $2,408 (instead of $35). Since the first devaluation of the dollar, the dollar has fallen 6,000+% against gold. Put another way: It now takes more than 60+ times as many dollars to buy the same amount of gold. In your lifetime, the dollar has lost tremendous value. If your savings are in bonds, the interest you are earning does not compensate for the eroding purchasing-power of the dollar. The world is heading toward a debt-crisis that will spill over to U.S. markets. Before the next liquidity freeze (like Aug. 9, 2007), it would be prudent to convert a percentage of your PAPER assets into PHYSICAL silver and gold. GOLD and SILVER dollars (good money). * Professor Roy W. Jastram, The Golden Constant: The English and American Experience 1560-1976, John Wiley & Sons, Inc. for the American Finance Assn., “A Ronald Press Publication,” 1977, (Carmel Valley, CA, June, 1977). ** Crude oil prices demonstrate the phenomenon of the golden constant: In 1873, 1 oz of gold could buy 15 or 16 barrels of oil. In 1973, 1 oz of gold could buy 15 barrels of oil. In Nov. 2014, 1 oz of gold could buy 16 barrels of oil. Due to an oil supply ‘glut’ (since 2015), 1 oz of gold could buy 24 barrels of oil in April 2017. *** A. Mederos and C. C. Lamberg-Karlovsky, “Creating Economic Order: Record-keeping, Standardization and the Development of Accounting in the Ancient Near East,” Institute for the Study of Long-term Economic Trends, Intl. Scholars Conference on Ancient Near Eastern Economies, Vol. IV, British Museum, Nov. 2000. CONTENTS: Ancient Monetary Weights: TALENT, MANEH, SHEKEL, GERAH, BEKAH; TROY Weights; METRIC Weights; CARAT Weights; KARAT Purity; MILLESIMAL Fineness; FAR EAST Weights; British POUND (Pennyweight, Pound Sterling, Sovereign); DOLLAR (Old U.S. Gold Coins); Historical GOLD-to-SILVER RATIOS (U.S. 90% Silver Coins, American Gold & Silver Eagles); BIBLE Weights (Conversion TABLE); WORLD COINS (Gold Contents).